No sports achievements or academic ones either, no public recognition or want for any pat on the back, he doesn’t care much for what others may think of him …. he is just being a remarkable human just being himself. 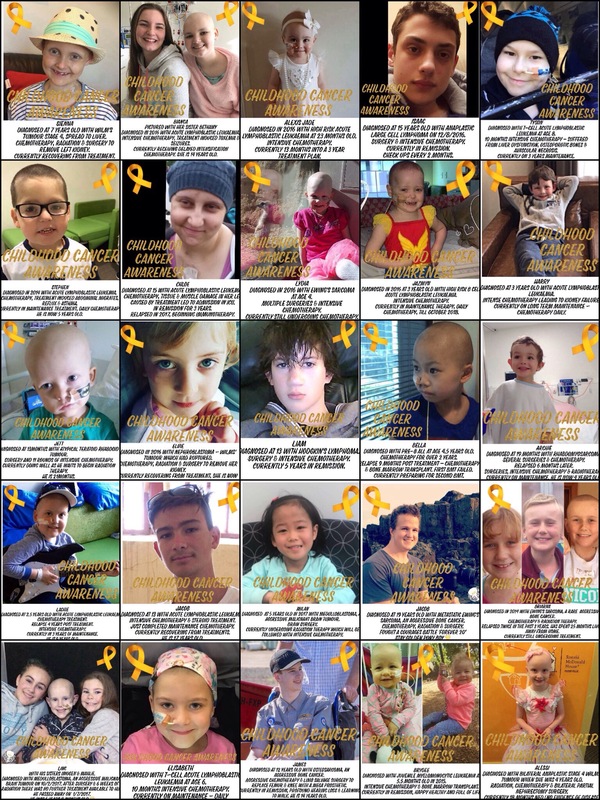 Another 21 children’s stories have been shared, just the barebones of their experiences, a snippet of their journey, barely scratching the surface of what childhood cancer is. It’s truly been a soul searching experience for me personally, I’ve cried almost daily, questioned myself and my intentions, felt angered and frustrated, as well as honored and humbled. I questioned my beliefs and wondered about hope. I experienced disappointment, I’ve felt like it was a battle that could never be won. I have learnt to persevere, beyond myself for something that is more about others and less about me. “It’s been an honor Dad. And he will be very fondly remembered. We huddle tightly below deck, while the ferocity of the storm rips relentlessly at our vessel. Battered continuously, whipped around like a rag doll there’s little we can do. Our control swept right from under us we are left clinging on to one another. Then, just as suddenly as this all began, there’s a break in the clouds, there’s an uneasy calm, an almost sickening stillness. We are left bobbing in a very vast ocean, quite unsure of any direction. 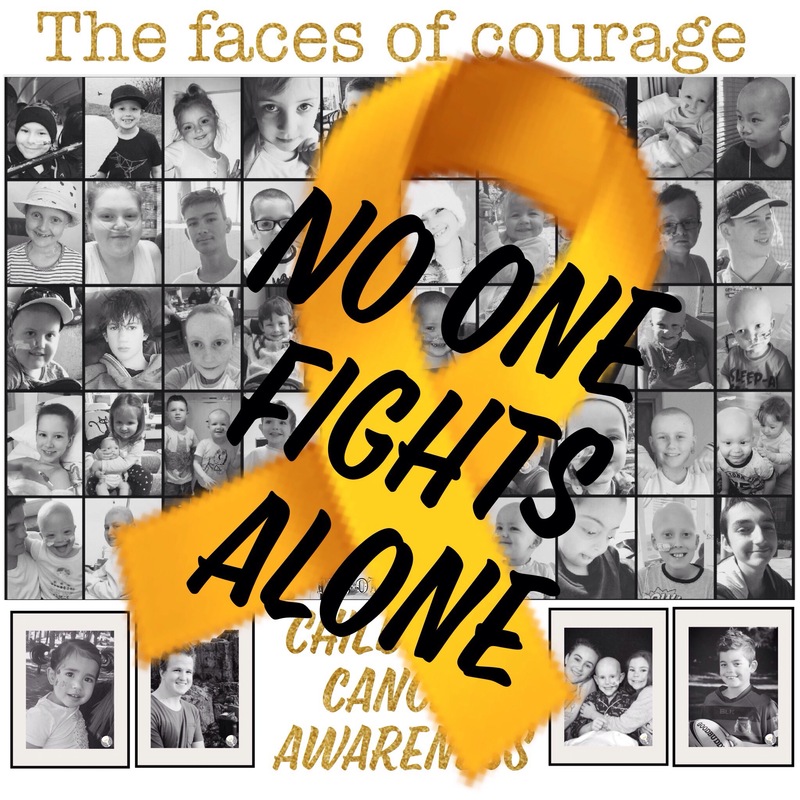 Dylan, my 13 year old son and I started an Instagram page a month or so ago, sharing his ‘treatment’ journey, to help create awareness of childhood cancer. This journey is pretty hectic and I have found that sharing short and fast is easier rather than a longer piece written on a blog, so haven’t written much here. But Instagram is our shared page for sharing and my blog is my space for sharing. I still honor and respect that this is Dylan’s journey and so I get his ‘approval’ before I share anything publicly, but I suppose I can share differently in my blog. It’s been 6 months that we’ve been on this crazy ride and I recently shared a collection of ‘the face of childhood cancer’ of Dylan, and realized that we are still not really sharing all of it, I’m not sure the whole picture can ever be shared, but in our quest to raise awareness I write this short blog and share it with you all. I can’t share photos of Dylan in pain, crying, frustrated, sick, confused and afraid because at those moments I was holding him, comforting him, drying his tears, wiping his head, holding the vomit bag, having him squeeze my hand … There are accidental shots, very far and few between that capture the rest of the reality behind the smile. Maybe this is why we have half a picture of what childhood cancer really is. it doesn’t end. I share this not for pity or sympathy, but for awareness, I share this for the others who will encounter this path in life, for the ones who won’t, because I never knew this world existed until now, perhaps sharing this will bring that one day closer, the day where treatments are only helpful and not harmful. Our only intention is to create awareness. Help us make a difference to the future of Children who will travel this path, share the awareness, be the change. The other ‘C’ Word ! It’s been almost 16 weeks since Dylan had his brain surgery and it still feels like I’m in an alternate reality. On one hand it feels like it was just yesterday that I sat in the doctors waiting room having been told to come in immediately to get the MRI results, you just know it’s not good when that happens, I can still feel exactly what I felt like getting that call, sitting there lump in throat fighting the tears in a crowded waiting room feeling the reception staffs emotions, I didn’t sleep that week and haven’t really slept properly since, that was Monday, 6 June . On the other hand I can’t remember what life was like before this crazy sh*t happened, it feels like forever. There’s no denying the massive impact this kind of thing has on your life, relationships change, there’s the disappointment and guilt for feeling disappointed, understanding but still feeling confused, so much frustration, you’re thrown into an unfamiliar world filled with a new language and different rules and you don’t get time to stop and think, it’s just go and do it! I’ve learnt things I never had an interest in learning, met so many different people with professions I never even knew existed, my heart gets broken repeatedly but just as quickly overflows with love. We’ve been touched with compassion and kindness from so many. It’s one hell of a ride I tell ye! And we are now ready for the next stage…. The other C word – Chemotherapy, it begins on Monday. The basic plan is go for blood tests and see the oncologist on Monday, then we can come home (or hang around the hospital, will depend on how ‘on time’ the appointments are) and then go back in the evening (6 or 7pm) where Dylan will be admitted (would be great if we didn’t need to have the wait time In between because that adds to the anxiety) and then start his treatment (Monday night). If all goes well and to plan he should be finished on Friday afternoon and come home for the weekend (I will be by his side the whole time, and Marco and Josh will be there for a lot of the time). Back to the oncologist on the Monday and then another treatment on either the Tuesday or Wednesday (just for the day). Then during the next few weeks he will have a variety of tests including hearing (one of the side effect of the chemo he is on is hearing loss), lung function, kidney function, liver, heart, spinal tap and I think that’s about it. If his blood count drops he will get transfusions (thank you to all you amazing people who donate blood) which depending on what he needs will take anywhere between 1 to 4 hours. If he gets a temperature he will need antibiotics and stuff so gets admitted to hospital. Then if all goes to plan he begins the next cycle, 4 cycles of 28 days (should finish sometime in January 2017). In this time there will be lots of watching the Walking Dead and Goggle box and whatever entertains at the time, playing Minecraft, blockheads, G mod etc (learning more about how to crochet for me), reading together, deep meaningful talks, hugs and foot massages (Dylan gets free ones I’ll have to pay), meeting new people, learning new medical stuff, catching up with friends, celebrating birthdays (Josh will be getting spoilt), Halloween (I had a great plan for Halloween but…. Dylan won’t let me do it because I recon he is scared that the nurse will stab me in the head with a syringe, so no middle of the night zombie costume for me, will have to go with psycho mother), Christmas, new year (perhaps fireworks from the hospital – no alcohol allowed) , so many opportunities for champaign and cake !